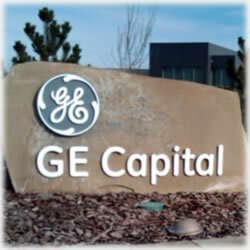 The world’s largest non bank financing entity, GE Capital, is undergoing a bit of a shift. But don’t make the mistake that it’s fading into the sunset. It’s doing anything but. In fact, it remains one of the world’s largest lenders and the interesting part is it’s not even considered to be a traditional bank or lender. So what’s next? We take a look at the company as well as a couple of its credit card products, specifically, its co-branded offer with Wal Mart. The financial market is a wide open field for this company and the growth potential is, actually, quite remarkable. Yes, even in the tough economy. Based in Virginia, GE Capital covers the bases for drug stores to furniture stores and, of course, credit card and debit card offerings. It readily admits it’s hit more than a few hard times in those sectors that have proven troubled over the past several years, including commercial real estate and even credit cards, but despite those rough days (its parent company cut shareholder dividends for the first time since the Great Depression) and even despite its loss of its AAA bond rating, it’s a brand new day for the company – and it remains a formidable player among its wide range of competitors. Part of the reason the company is confident that it once again it’s about to head into its glory days is the crash of its biggest competitor, CIT Group, which went into bankruptcy recently. As a result, the company’s pulling in more small and medium sized business that it might have anticipated just three years ago. And then, like most every other credit card company and bank in recent months, it found itself at the wrong end of a scam. This one had to do with phone calls being made to American consumers who use the co-branded prepaid Wal Mart debit cards. It posted an urgent warning on its website warning customers to not provide their Wal Mart MoneyCard or MoneyPak information to anyone calling them. It would appear scammers took advantage, or rather, they tried to take advantage of the new partnership between GE Money Bank and GE Capital Retail Bank. The warning advised customers that it doesn’t offer personal loans that include loading the proceeds of the loan onto the consumer’s prepaid card, “and (we) would never ask you to load money on a card product in order to qualify for a loan. If someone has called you stating they are from GE Money Bank or GE Capital Retail Bank and asked you to load money on a MoneyPak or Walmart MoneyCard in order to obtain a loan, DO NOT provide them with your information”. The warning concluded by encouraging consumers who might have been targeted to contact their local authorities and then file a complaint with FTC or CFPB. Of course, that’s not the deal breaker consumers it would have been several years ago when consumers, fearful of losing everything because of a computer virus or hacker, would simply close their accounts. These days, with government watchdog groups, zero fraud liability protections and new technology, a scam or hack is still a big deal, but it’s not the crisis it once was, partly because we’re simply better able to anticipate them, prevent them and then fix them if and when they do strike. GE Capital retail sales financing helps Pep Boys keep running like a well-oiled machine. The American Renewal is happening. Right now. GE Capital understands what small businesses need to grow and create jobs. Today, over 300,000 businesses rely on GE Capital for the critical financing they need to help our economy get back on track. As GE Capital spokesperson Russell Wilkerson explained, the company and the nation as a whole is “coming out of the financial crisis and moving forward”. Along with partnering with Wal Mart with two prepaid products, a Visa and a MasterCard, the company is poised to once again raise the bar. Its Wal Mart MoneyCard Prepaid Visa and MasterCard consistently ranks high in customer service. It has few fees – including no annual fee – and is a versatile choice for consumers who’ve grown tired of being pulled one way and another because of changing policies at the nation’s banks. There are no issuance fees for applying online, no bank account is required and no credit check is conducted. Consumers know this prepaid product will allow them to do everything their bank accounts allow for and with the growing number of underbanked and unbanked consumers, these prepaid products are really the sector to watch. While some prepaid cards require minimum balances and other hoops to jump through, the GE Money and Wal Mart product offering is a fresh approach. And, of course, it’s offered as both a Visa and MasterCard. Direct deposit is free and customers use their cards anywhere the logo for Visa or MasterCard (depending on which one they choose) is accepted. And it comes to no surprise that it’s a fine choice for waiting for their income tax refunds, too. GE Capital’s Retail Finance business has, for years, provided a host of financing services all of which were designed to help consumers make the most of their financial tools as they seek to purchase what they need for every stage of their lives. It remains a flexible company with a versatility that even the nation’s big banks can match. It’s barreling toward its century anniversary and with it comes a host of businesses and retailers. The company continues with its private label credit card programs, promotional products, installment lending programs, financial services for both consumers and businesses around the world. Wondering what’s next? So are we – but you can be sure it’s going to be a calculated and definitive effort that will certainly include all potential worse case scenarios so that the company can continue to do what it does best: move forward, better prepared than most, with one goal in mind – continuing to meet the needs of consumers around the world. It was once known as GE Consumer Finance but these days, it’s known as GE Money. It’s a global name with entities in nearly every country or continent from the UK to the U.S – more than sixty countries and more than 140 customers. GE Money specializes in providing financing options, including loans, debt consolidation and credit cards. Even when many of the banks were shouldering heavy losses, GE Money actually fared better than most. No longer the standard light bulb choice, this is one company that not only is doing it right, but has always managed to pull out all the stops. Have you ever or are you now a GE Money customer? Let us know your experience with this global brand and especially if you own one of the co-branded Wal Mart reloadable cards.